Use Your Stash Blog Hop - Stickease and More! Hi, and welcome to my little part of the Use Your Stash Blog Hop for February! If you are coming from Rachel's blog, then you are on the right track, but if you get lost, return to Judy's blog where there is a list of all of the bloggers. 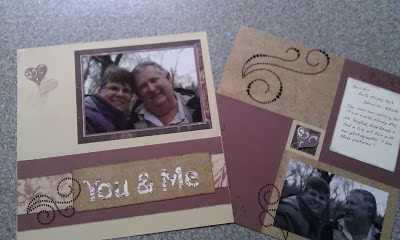 Now hop on over to Joy's blog for some more inspiration with her beautiful project! If you would like information about Close to my Heart products, on how to become a Close to my Heart Independent Consultant, or to book a home gathering, please visit my website at http://janmccormick.ctmh.com. Welcome to our February Blog Hop featuring a 2 page layout. This is the first Blog Hop for us where we have featured just scrapbook layouts. We hope that you will take the time to leave comments on our posts, as we love to get feedback from our viewers....whether it was something that you really liked or some new technique that was used that you would like to learn how to do....by leaving us comments, we get to hear what you like, and what you want to see. Thank you… now on to our hop! If you have just hopped onto my blog, you can start here as this is a circular hop, but if you want to follow us across Canada then please start at the beginning and join Michelle Stewart at mycreationswithmichelle.blogspot.ca. If you came from Terry Anne Diack's blog then you are in the right place! You will likely have seen these photos last month in the Cross Canada hop where I made the Display Tray. I wanted to have a layout with them as well, so here they are again! I once again used La Belle Vie, pigment inks, and Sparkles Flourish Black. The letters (You & Me) were cut with the Cricut Artiste and then stamped with Smokey Plum pigment ink and the Key to my Heart stamp set. The hearts on the left page are stamped in first, second, third and fourth generation using Smokey Plum again. Your next stop on the Cross Canada Hop is Kathy Skipper of It's a Girl Thing. If you get lost along the way, you can head back to Michelle's blog, http://mycreationswithmichelle.blogspot.ca, as she has the complete blog list. Thanks for hopping along with us - we hope we were able to inspire you to create your own scrapbook layouts using some of the designs and paper seen along the way. Join us again in March when we will be featuring our new 5x7 Hinged Display Tray. If you are interested in the products used in this blog, please visit my website at http://janmccormick.ctmh.com and send me an email, or phone me! I would love to come to your home and show you how you can make your paper crafting faster, simpler and easier with Close to my Heart! 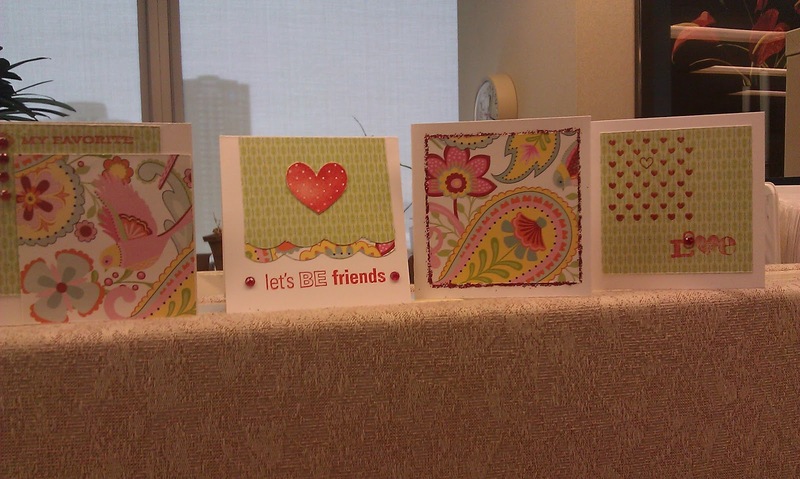 Valentine cards by the (half) dozen! Valentine's Day. Chocolate, cards, flowers, jewellry. But mostly cards. 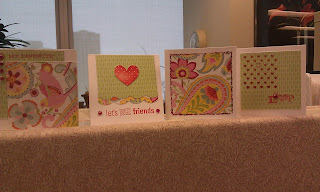 My crafty ladies at work made six cute little 3"X3" cards last week using the new Close to my Heart Chantilly paper pack and our new Pink Glitter Gems. For mine, I used the flip side of the main floral Chantilly paper, Colonial White cardstock for the base and to stamp the hearts and the sentiment, and the pink Glitter Gems to add some sparkle. The hearts are stamped with Ruby, Cranberry and Hollyhock pigment inks, and the sentiment is stamped with Slate pigment ink. The hearts and sentiment were then cut out by hand (I found out after they were all cut out that the hearts can be cut with the Cricut). Here are some made by one of my ladies. I love the one with the scalloped edge! I showed her how to use our corner rounder to do this and she loved it! I hope you like these little cards! I love this paper and have found a lot of other uses for it! If you would like to order the Chantilly paper pack for yourself, please visit my website at http://janmccormick.ctmh.com or leave a comment with your email address. I will get back to you!